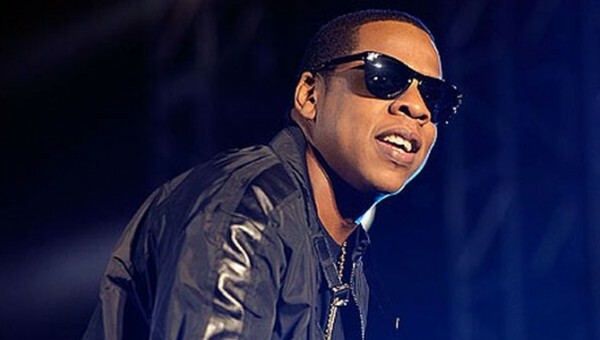 Jay-z And Billboard Ask: When Is A Hit Record Not A Hit Record? Jay-Z’s new album Magna Carta Holy Grail isn’t out until July, but it may already be a best-seller, depending on what exactly counts as an album purchase these days. It soon became clear what he meant. The ad was sponsored by Samsung Mobile, and it concluded with a link to a site that announced a million copies of the album would be given away in the form of a “customized mobile app” to owners of certain models of Samsung Galaxy smartphones. These free copies of the album would be available on July 4, three days before the official release. The Wall Street Journal reports that Samsung paid $5 a piece for these albums. Does the bulk purchase count towards Magna Carta Holy Grail‘s position on the Billboard charts? Those charts are based on sales tracking by Nielsen SoundScan. Nielsen’s official policy is that they don’t factor in bulk sales, although big box retailers are sometimes allowed to purchase records in bulk with the understanding that they’ll turn around and sell them to their customers. Industry analysts I spoke with suspect that they’re still grappling with the dilemma posed by the Samsung purchase. “This is not the first example of this sort of thing,” says music industry analyst Mark Mulligan. “There was the U2 iPod with the digital box set from the iTunes store and the Maroon 5 album preinstalled on s Nokia smartphone.” But the scale of this purchase is unprecedented, and the way it’s distributed may effect how it’s counted. “If it’s an opt in method, that’s quite a different dynamic than if it’s pushed out to a certain install base,” says Mulligan. The enormous sales volume required to hit the music charts means there’s little financial upside in attempting to manipulate the charts through bulk purchasing. But the practice is commonplace in the book industry. Authors or publishers can and do hire marketing firms to make strategic bulk purchases that ensure chart placement; just a few thousand purchases from the right outlets can do the trick. Nielsen sales tracker BookScan’s official policy is not to count such bulk purchases, but it’s hard for them to police it. Some publishers openly endorse this practice as a legit marketing tactic. Had Jay-Z and Samsung charged $3.49–our minimum pricing threshold for a new release to count on our charts–for either the app or the album, the U.S. sales would have registered. And ultimately, that’s the rub: The ever-visionary Jay-Z pulled the nifty coup of getting paid as if he had a platinum album before one fan bought a single copy. (He may have done even better than that–artists generally get paid a royalty percentage of wholesale. If Jay keeps every penny of Samsung’s $5 purchase price, he’d be more than doubling the typical superstar rate.) But in the context of this promotion, nothing is actually for sale. The charts have traditionally been a terrific marketing tool, a guaranteed source of airplay and consumer attention. But if the goal of marketing an album is to generate sales, wouldn’t many artists be just as happy with a straight promotional like this, even if it meant lower chart placement? Hologram Employees: Can Virtual Workers Replace Real Ones?